Viknesh Vijayenthiran June 30, 2014 Comment Now! Last week Ferrari introduced a new one-off supercar developed on behalf of a client by the Special Projects division, the F12 TRS, whose lines were inspired by the 1957 250 Testa Rossa and whose owner is believed to be a British resident. 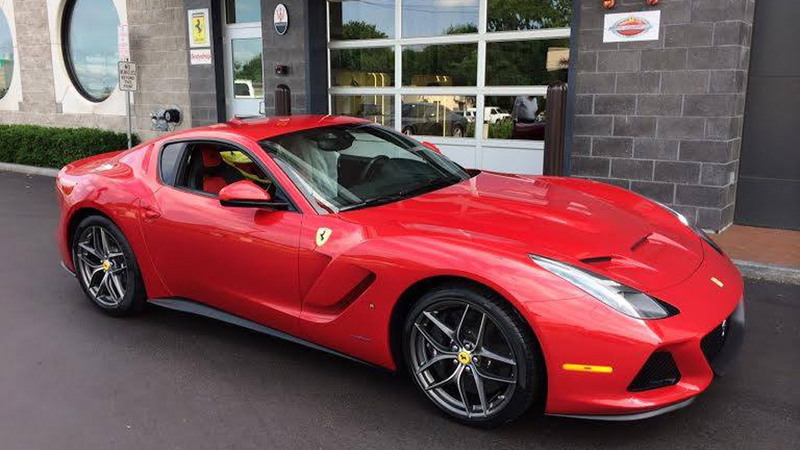 Now we have details on a second one-off Ferrari developed by the Special Projects division, this time on behalf of a client in the U.S. 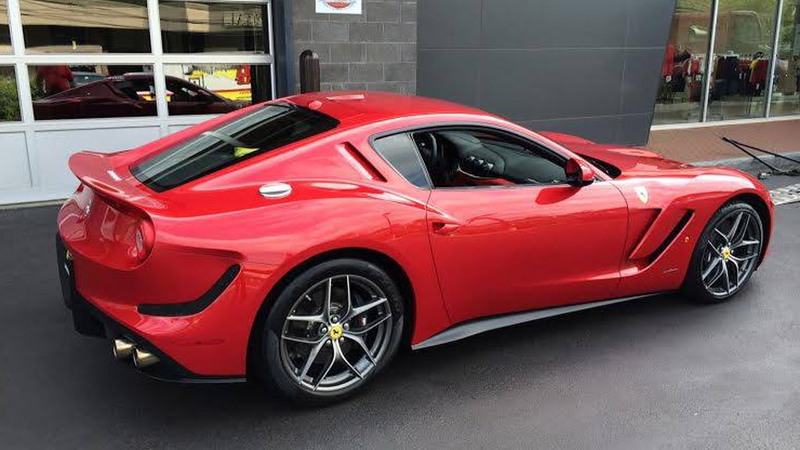 The second one-off supercar is the Ferrari SP America, which features lines inspired by those of the legendary 250 GTO and, like the F12 TRS, is based on the F12 Berlinetta. 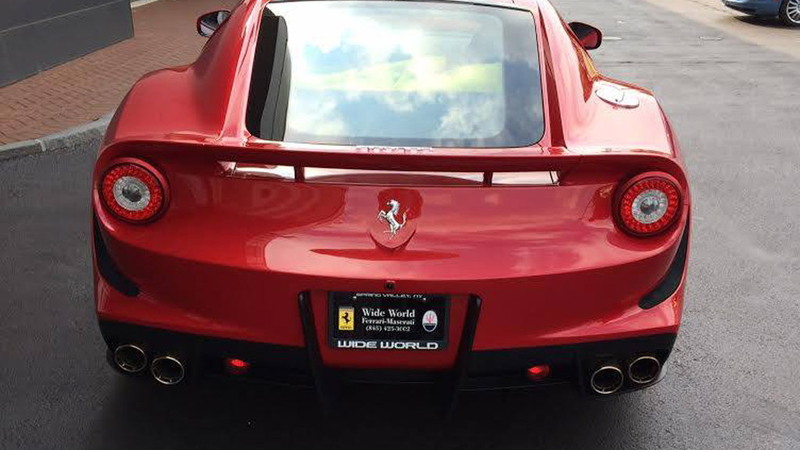 Photos of the car taken at the Wide World Ferrari and Maserati dealership in Spring Valley, New York were recently posted on The Supercar Kids website. 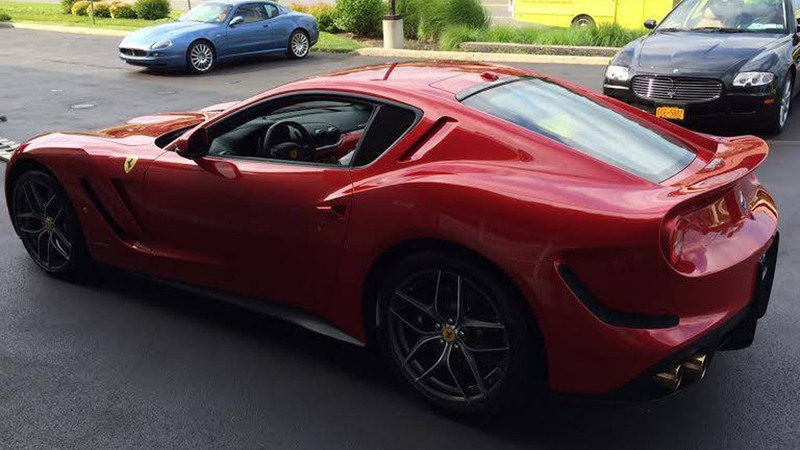 They show that the SP America features a trio of vents and a long bump in the center of the hood, just like the 250 GTO. The twin vertical vents in the front fenders, additional vents at the rear and ducktail spoiler are also elements that have been borrowed from the priceless 1960s classic. 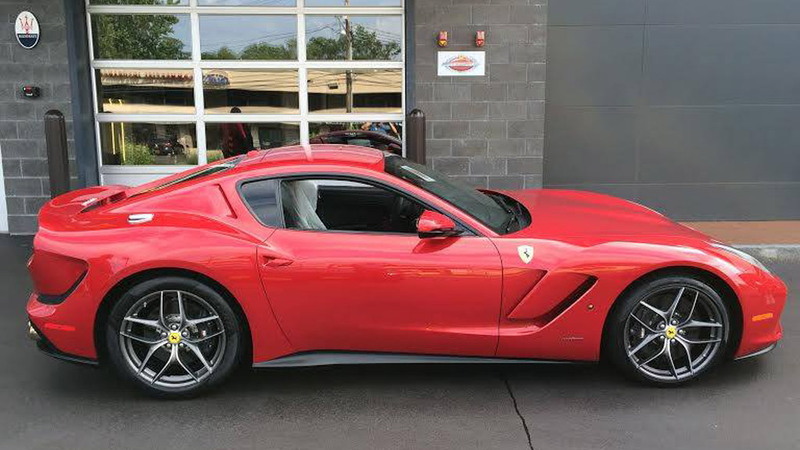 It’s unlikely any modifications have been made to the mechanical setup, which means the car’s performance specs should be the same as those of the stock F12 Berlinetta on which it’s based. This means power still comes from a 6.3-liter V-12 engine tuned to deliver 729 horsepower and 508 pound-feet of torque, enough for 0-62 mph acceleration in just 3.1 seconds and a top speed in excess of 211 mph. We’re likely to see the Ferrari SP America formally introduced at the 2014 Pebble Beach Concours d’Elegance in mid-August. As mentioned, the car was developed by Ferrari’s Special Projects division, which is open to only the Italian marque’s most loyal customers and has so far resulted in seven other cars that we know of. The first was the F430-based SP1 revealed back in 2008. Subsequent cars have included the 599-based P540 Superfast Aperta, 612-based GTS Pavesi, 599-based Superamerica 45, 458-based SP12 EC, 599-based SP Arya, FF-based SP FFX and the F12-based F12 TRS.